A powerful network management system with automatic discovery and comprehensive monitoring for network devices and load balancers across data centers. Monitor availability, traffic distribution, concurrency, and performance from the cloud with this multifaceted SaaS tool. Control network failover with SaaS-based monitoring. Track your whole network, with detailed stats on the status, availability, and performance of each device, by connecting to your devices' SNMP MIBs. Track real-time network traffic of any device at the interface level using bandwidth utilization data based on inbound and outbound traffic, including accurate graphs. Create custom SNMP monitors to keep track of several critical stats, including metrics provided by your vendor and those offered by our network monitoring tool. Identify problems with solid data on the duration and cause of outages. Use root cause analysis to keep track of anomalous behavior. 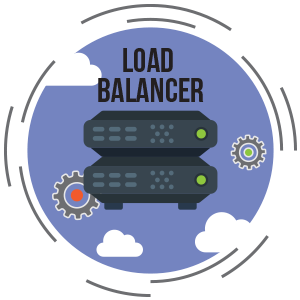 Obtain deep visibility into the performance of your load balancers by monitoring all SNMP performance counters and the custom monitors of your choice. Keep an eye on service endpoints with exhaustive data collected. Stay up-to-date with timely notifications. Get email, SMS, voice, instant messenger, RSS, browser, and push notifications about downtime. With detailed status pages and notifications on all your favorite channels, keep yourself informed about the status of your network. View daily, weekly, monthly, yearly, or customize data to your needs.